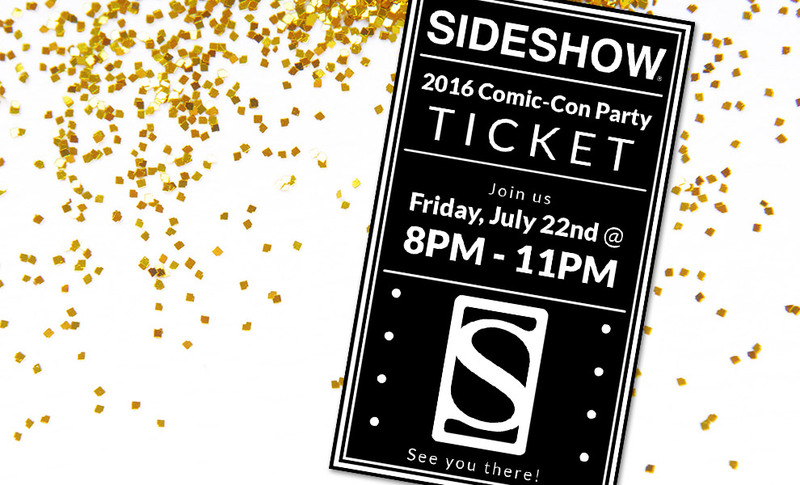 This year's 2016 Sideshow Collectibles Comic-Con Party in San Diego will take place on Friday, July 22nd from 8PM to 11PM. Those that purchase a ticket to the party will receive an email on Monday, July 18th with details of party location and entry into the party. 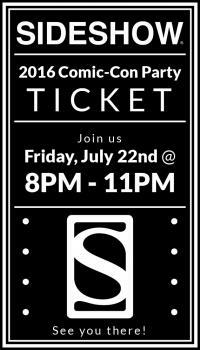 Additionally, every ticket purchased includes a $50 Promo Code that can be used on select In-Stock purchases through the Sideshow.com website. 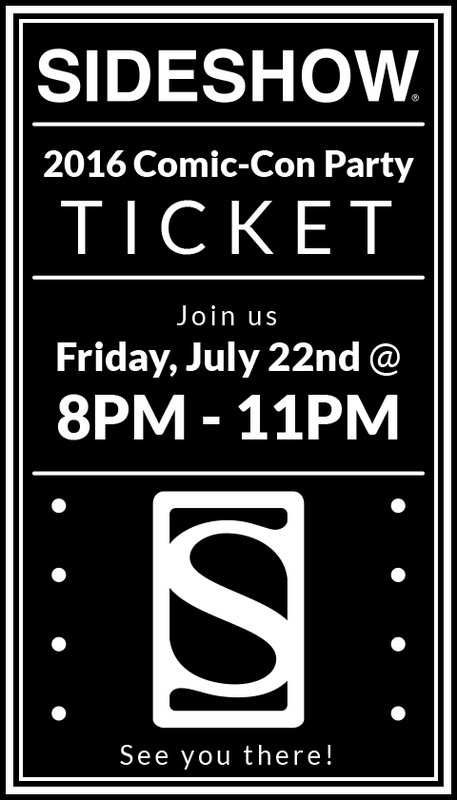 Promo codes and complete details about these codes will be emailed separately to ticket purchasers by the week of August 1st, 2016.